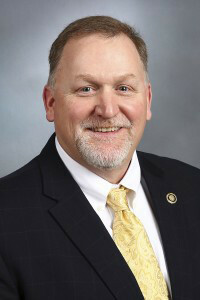 State Sen. Dave Schatz (R-Sullivan) will lead next week’s effort to override Governor Jay Nixon’s (D) veto of a bill creating an income tax deduction for payments received as part of a program to compensate ag producers who suffer losses due to disasters or emergencies. “There’s many times that I’ve probably on policy issues that maybe I’ve agreed with the Governor, but this is just one time that we absolutely disagree on their estimate of the cost associated with this. The fiscal note that they’ve assigned I don’t think is anywhere close to what reality is,” Schatz says. While Governor Nixon estimates the bill’s fiscal impact at about $51 million, Schatz says he believes the number is closer to $12 million, citing a University of Missouri study. Schatz says it’s about fairness. “We believe that there’s no other types of disaster payments that are taxed as income, and again we believe it would a great thing for the cattle industry here in our state and again it’s very important for us to get this accomplished,” Schatz says. In his veto message, Nixon said he could not support exempting the payments for income tax purposes and “certainly not doing so retroactively”. Under Schatz’s bill, the deduction would be available for all tax years beginning on or after January 1, 2014. Senator Schatz tells Missourinet he believes the veto will be overridden. “I know some of the associations have been working, the Cattlemen’s Association have been working very hard probably. They probably have a much better idea on every individual Senator, where they stand on the issue. But I’m confident that we will have enough numbers to get this (an override) accomplished,” Schatz says. An override requires a two-thirds vote in the Missouri House and Senate. The Veto Session begins September 14 at the Statehouse in Jefferson City. Schatz is hopeful lawmakers can wrap up their work in a day or two.